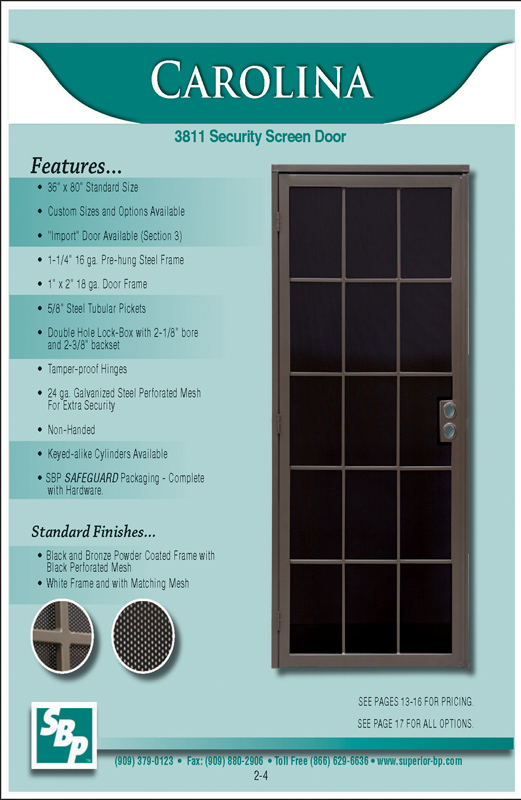 We specialize in Screen Repair for windows & doors. 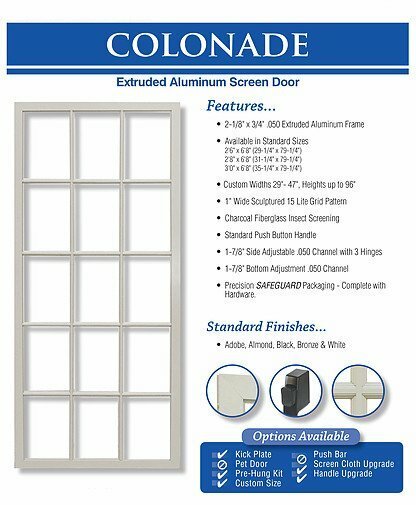 Bring us your exsisting frames and we will rescreen them or have new Screens made specificaally in your size with a quick turn around time and excellent pricing! 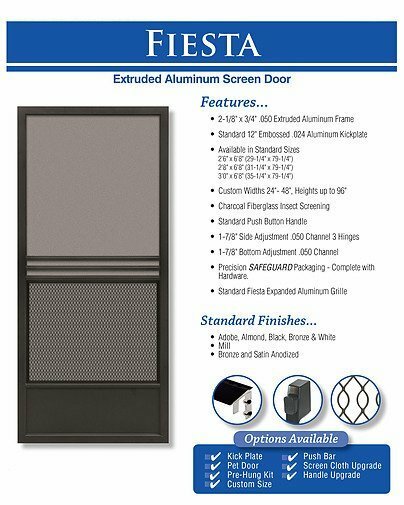 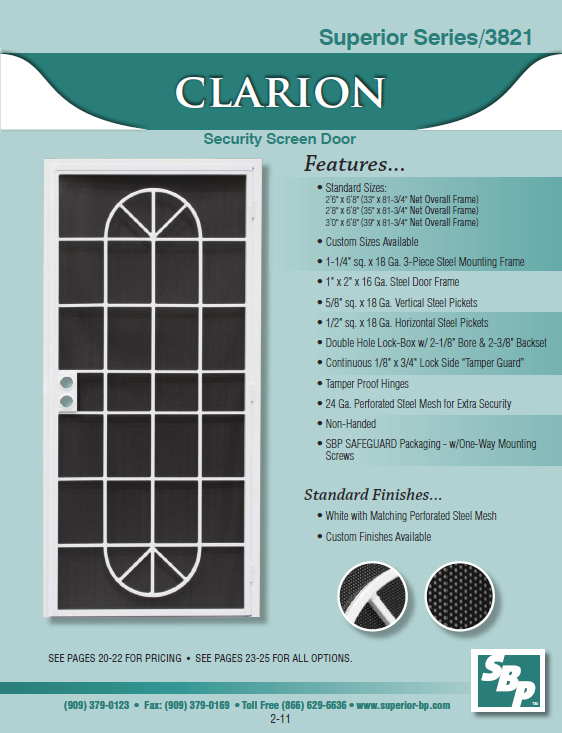 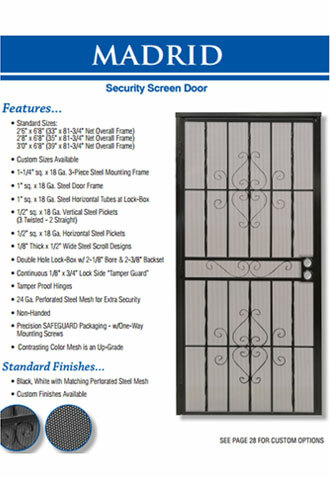 Below are a select number of security and screen doors. 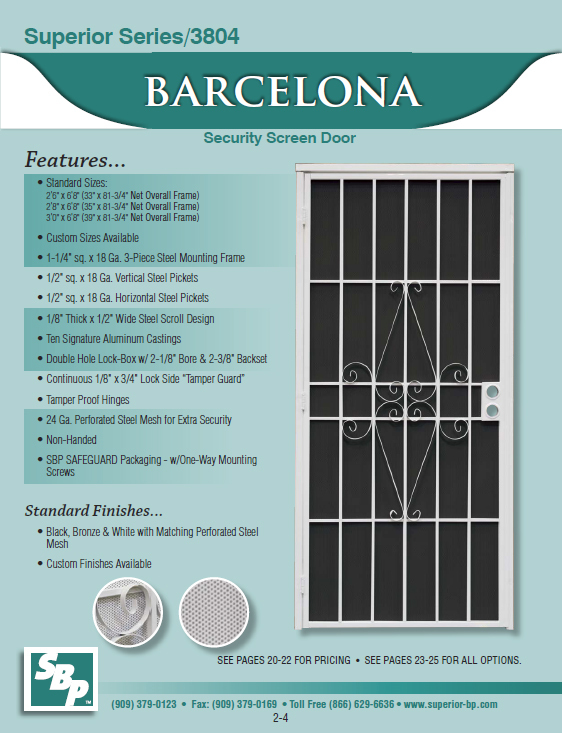 Screen doors and security doors provide a fantastic look and additional security for your home.  We have the best quality and the best price. 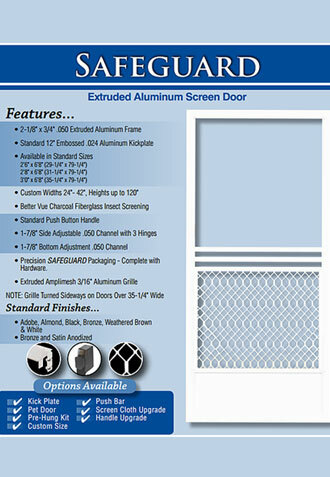 Don't buy "fit all" or "adjustable" screen doors with wheels that can not be locked in place from "Big Box Stores". 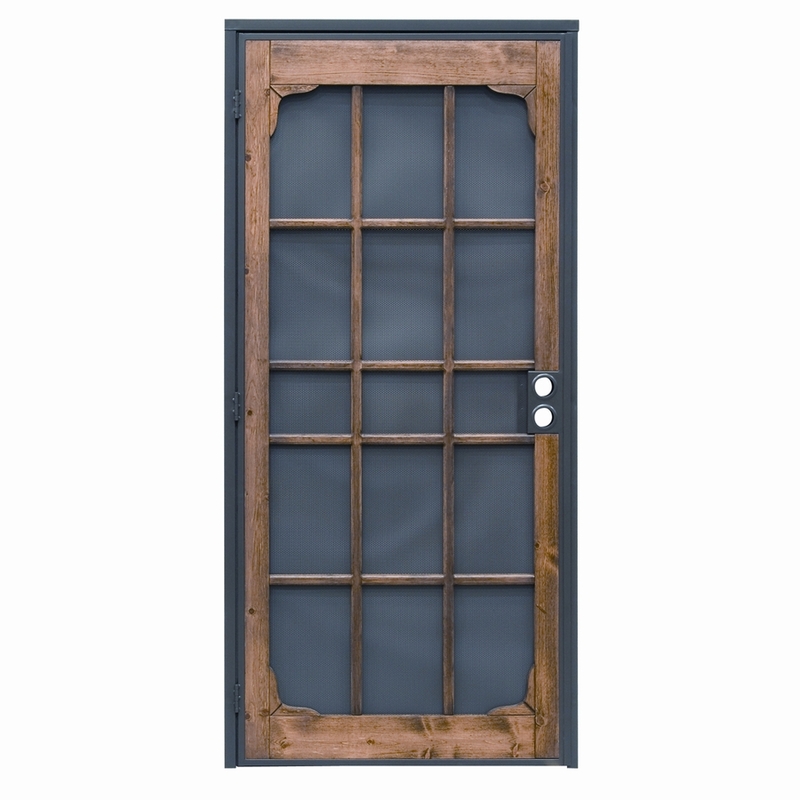 With South Bay Window & Glass Screen Doors, the wheels can be locked which helps it slide smoother and makes it harder to get knocked off track. 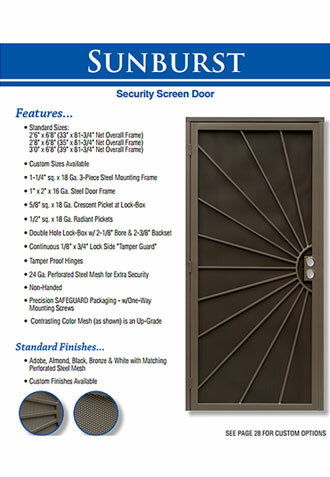 SECURITY DOORS ARE WILL CALL NATIONAL CITY ONLY! 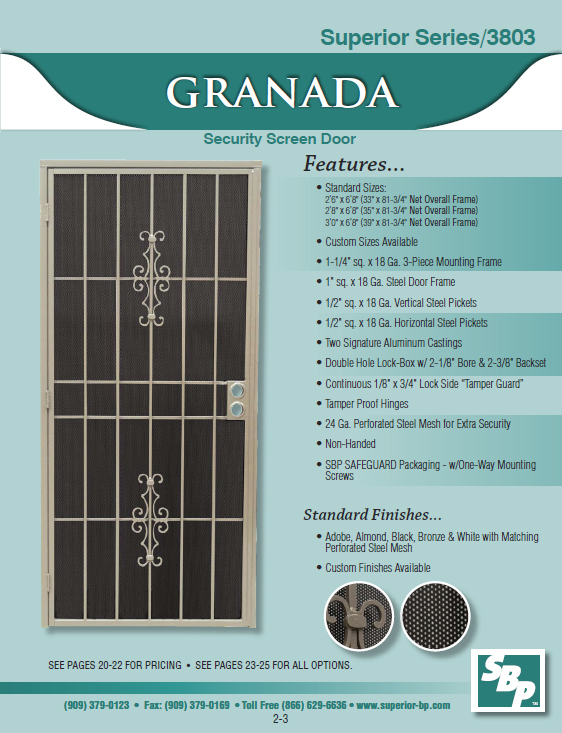 "Colonade" "Santa Cruz" "Safeguard" "Fiesta"
All trademarks and logos are owned by South Bay Windows & Glass.